I thought I was having a horrifying day yesterday when I accidentally spilled water on my lap and made it look like I didn’t quite make it to the men’s room. Little did I know how scare-free a day I was actually having when I heard about the terrifying cement truck crash pictured above. The stuff of nightmares, right? Dr. Zhu reportedly invested in his dash cam about a year ago, in case of an accident. How very prescient of the man; that’s probably why he has a PhD. 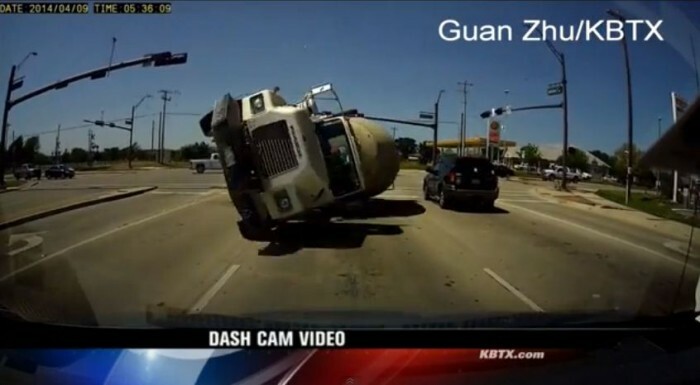 The dash cam, mounted in his Toyota Sienna, captures a cement truck running a red light and subsequently swerving through an intersection to avoid hitting any vehicles, but, inevitably the truck tips over and slides right into the front end of Dr. Zhu’s minivan. Luckily, Dr. Zhu’s airbags deployed (which was unexpected, as it’s a Toyota), and he only got a small cut on his leg. 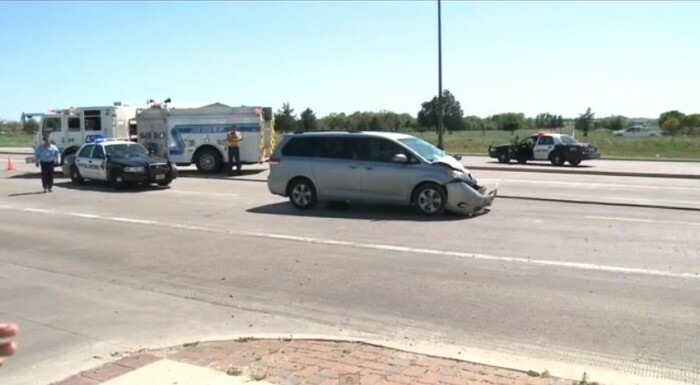 The driver of the cement truck was also saved from serious injury but was promptly written a ticket at the scene of the crash, according to KBTX.